Scholarzdyte is a powerful, tasty herbaldiet punch rich in isolate soy extract as protein along with herbal extracts of brahmi, jatamansi, shankhpushpi, ashwaganda as a strong health and mental booster. This diet has been designed specially for students of any age and gender and for the people who’s working is mostly sitting in the office as mental and physical booster. Doses : 10gms of Scholarzdyte is to be taken twice in a day with milk. 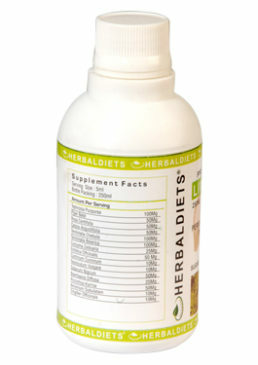 » HERBALDIETS SCHOLARZDYTE is formulated for professionals and professional students. » To provide all time mental and physical alertness. 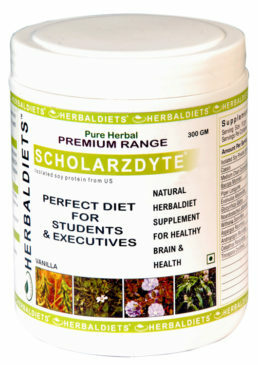 » SCHOLARZDYTE is herbal nutritional combination as a supplement for physical and mental strength. » To improve complete concentrations and bring maximum output of work. » This diet improves vitality stamina and strength of the person and reduce the chances of illness. » Due to pressure of studies, work and mental load this diet meets all nutritional requirements of the body. » Herbs like Brahmi and Shankhpushpi are the best mental boosters in this diet. » To improve IQ level and enhance memory. » This diet will not let gain weight during long sittings in office and studies. » Will improve lathargicness, fatigue and improve activeness. 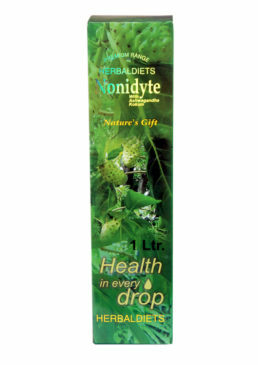 » Best results are to use with NONIDYTE PREMIUM. 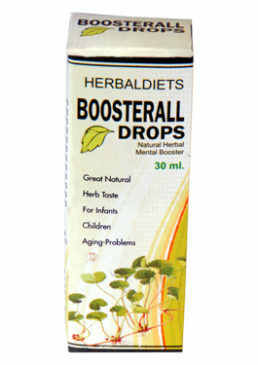 Herbaldiet Boosterall drops is an very effective formulation for physical and mental alertness. These drops are for infants, children and memory booster for aging people. 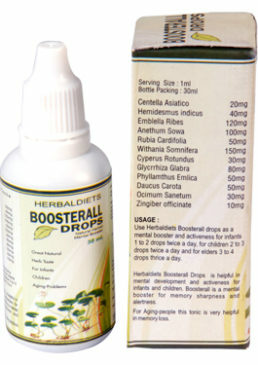 » Herbaldiets BOOSTERALL DROPS is an very effective formulation for physical and mental alertness. » Good tonic and mental booster for infants to old age people. » To increase vitality and immune system for infants and children all ages. » Revitalises system for infants to childrens. 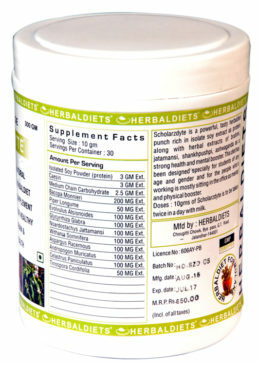 » Helps & maintains healthy digestive track. » Improve and Boost all organs. » Improve IQ level and all senses like touch, feel, smell, taste. » Improve speaking abilities for physically inactive children. 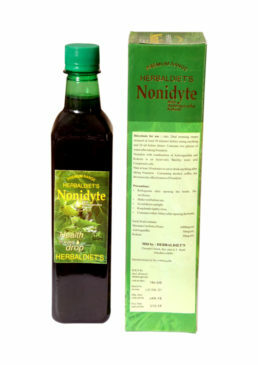 » Works as good anti oxidant and normalises phsychological functions. » Memory booster for aging people, helpful in stress and depression. » Improves eyesight and strengthen eye muscles. Heabaldiets special tonic for digestive tract & liver protection. 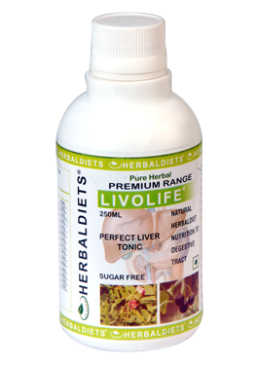 Livolife helps in digestion, hunger, acidity, heartburn, bowl clear and jaundice. It also helps for better absorption of diet. » HERBALDIETS LIVOLIFE (Sugar Free) and complete tonic of stomach and liver protection. » Liver is the largest and most important detoxification organ more than 500 functions have been attributed to liver. » Liver also store energy in the form of glycogen and also decomposes red blood cells. » Most of the nutrients use by the body are processed by the liver. » Liver disorders are related to alcohol consumption, viral hepatitis, excessive use of medication for all these problems LIVOLIFE is the best liver protecting tonic. » This tonic is helpful in diabetes, heart and weight management problem. » Works on constipation and digestive system to improve appetite and absorption of diet. » Very good tonic for bowls clearance. » Store in a cool and dry place. » LIVOLIFE is a suger free good for diabetic and obese people. ICOOL EYE DROPS are helpful in improving eyesight, strengthens eye muscles, helpful in cojuitivies and other eye infections, collant and nutritive. Doses: 2 to 3 drops in both the eyes at bedtime & after rising in the morning. » Herbaldiets has introduced a new effective product for eye care ICOOL EYE DROPS. 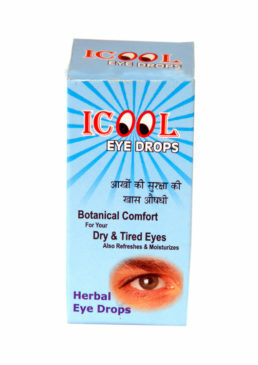 » ICOOL EYE DROPS is invaluable in protecting the eyes from all pollution & adverse environment effect of modern life. » It also helps in maintaining the acuity of vision & is very useful in treatment of various eye ailments. 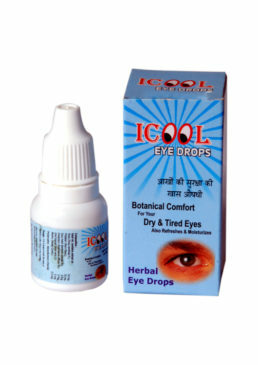 » Herbaldiets ICOOL DROPS is helpful in improving Eye-sight, strengthening eye muscles. » Helpful in conjunctivitis & other eye infections. » These Eye Drops are invaluable in protecting the eyes from all pollution & adverse environment effects, cools & refreshes eyes. » It is very useful in treatment of various eyes ailments. 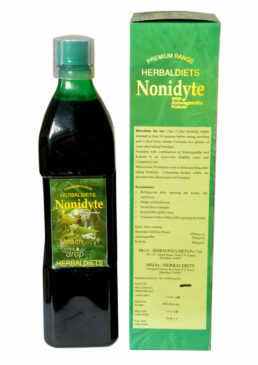 NONIDYTE PREMIUM (1 LTR) – Most Powerful Health Tonic (Sugar free). 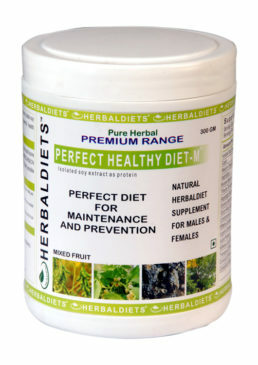 Herbaldiets “PERFECT HEALTHYDIET-M” is a perfect combination with isolate soy protein along with herbal extract combinations for developing strength, power & maintenance upto optimum level along with maintaining mental & physical level. Perfect combinations of bhrami & tulsi to maintain working of mental level along with life protecting herbal combinations of jamun, keekar, jeera, dhania protects from diseases & maintains the body. Uses Age: above 30 age. Doses: 10 gm twice a day with lo-fat milk. 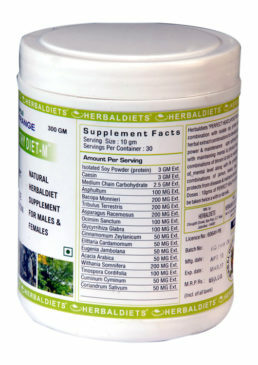 » HERBALDIETS “PERFECT HEALTHY DYTE-M” is the complete diet for the people above 30 to 80 year of age. » This diet is the beautiful combination of Soy Protein extract along with Shilajit, Brahmi, Gokhru, Stawar, Tulsi, Mulathi, Jamun, Kikar, Ashwagandha, Gudchi, Jeera and Dhania. » This diet will be a complete diet to be taken care for all needs of the body. This will manage proper weight. » This diet will protect form blood pressure and heart problems. » Diet will not let loose immunity, power and strength of the body. » Diet will work as anti-aging properties and will help to fight with aging problems. » Protective herbs like Tulsi, Mulathi, Dalchini,Choti Elichi will protect the body from diseases. » Problems like diabetic and heart are major problems during aging which this diet will take care. » Even at the age of 70 to 80, this diet will maintain all the physical requirements of the body and will not let feel old. » Mental alertness even at the old age will be maintained. » Shilajit has important role during age related problem this diet will keep complete fitness of the individual. 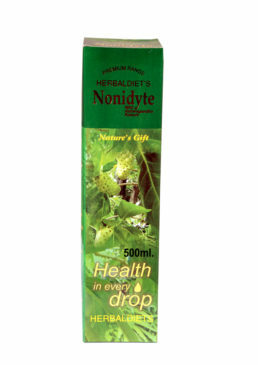 » Herbaldiets recommends to use with NONIDYTE PREMIUM and BOOSTERALL DROPS.